Last edited by Pete; 03-12-2012 at 03:44 PM. 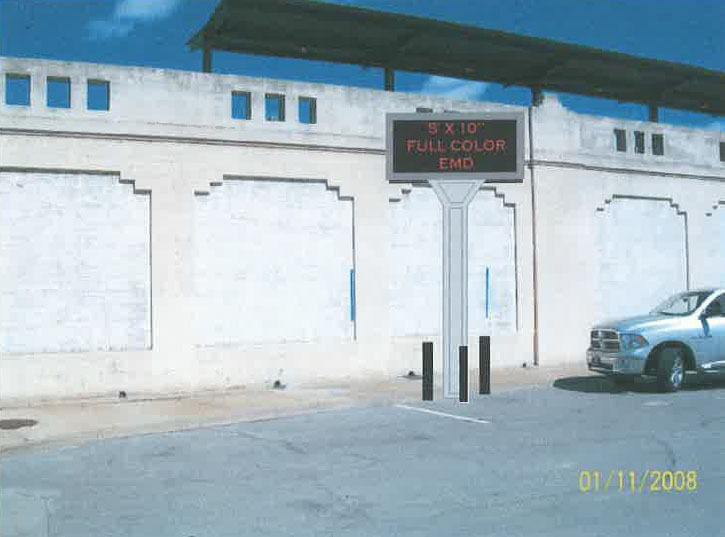 Re: Electronic Billboards at Sante Fe Station? 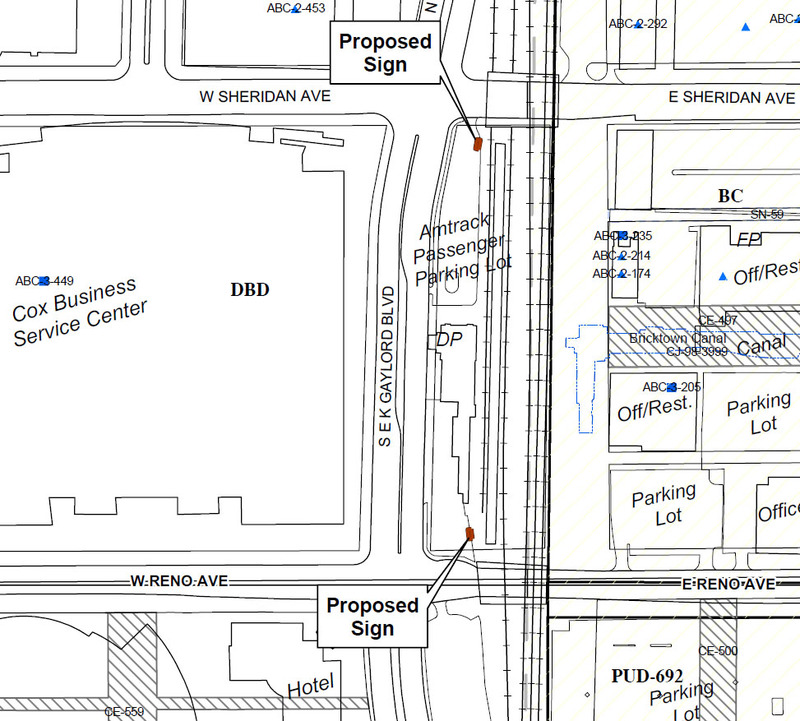 This was discussed when it came before the Downtown Design Review committee a few months ago. Not sure why they approved it but they did. A ban on electronic signs in the CBD? That is crazy. ^^Yea, wth is wrong with electric signs? Not electric but electronic displays...I.E. huge TV's. ^^gotcha',just certain sizes or all sizes? Still crazy. Devon is building an 843' video board that can be seen for 22 miles and they are concerned about a video screen at ground level. Electronic displays should be encouraged. The signs were approved about the same time as the arena sign. Size and brightness is regulated. Use is also regulated. Commercial signs have more restrictions. The arena sign required an exception because it has some commercial uses and is oversized for that purpose. I'm not arguing with you. There is a difference between Devon though and what is on the Santa Fe site...Devon's use is for mood, not for displaying "DEVON" all the way up the side of it. This cheap billboard is used for advertising, looks like they maybe spent $2,000 a piece on each one. And the quality of the picture is bad. If you are going to do it, do it right. I remember seeing the renderings and thinking it looked really, really cheap and also occupies the gateway between downtown and Bricktown. What are the video boards displaying? If they are just billboards I could see banning them but if content is consistent with buildings tennants or function then they should be able to have at it. 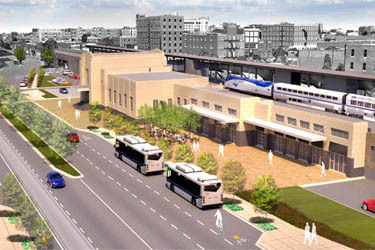 Santa Fe station should be able to advertise Amtrak, train schedules, up coming on-site events, and event space for rent. They shouldn't run ads for other businesses. They could also advertise City sponsors events and functions in the immediate area that are open to the public (ie the OKC memorial marathon). I agree with catch22, I noticed the boards right away and was shocked they used such low resolution boards. The graphics and lettering look terrible in most instances and totally detract from the architecture in the area. The local Sonic drive-thrus have better quality electronic boards. Any pictures of how bad they are? I'll be honest - I don't know how you can put a sign on Santa Fe Station and have it look good. They are on freestanding poles. The one at Sheridan is slightly smaller than the one at Reno. Okay, I found the background documentation on this. 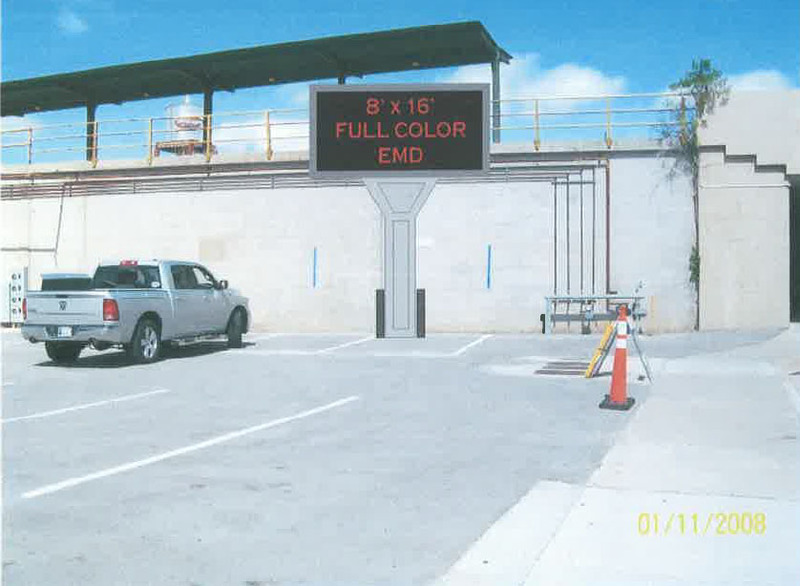 The project was submitted to the Downtown Design Review committee on 6/16/11 and not only was it approved, they also recommended that it pass the Board of Adjustment. The Board of Adjustment also approved the application. This was all done by Tyler Sign Company but I'm sure it was to benefit the Brewers who own this property. Also, Allied Arts wrote a letter of support because the sign company promised to give them 8 seconds for every 48 rotations. You'll see that the purpose is just for general advertising and nothing to do with the property on which they are located; just electronic billboards. They must not be worth a darn..I drove right by them twice this past tuesday night and didn't even notice. The rendering shows a solid structure supporting it. However, unless my eyes deceived me, it's just a few black poles holding the whole thing up. I drove by the Santa Fe Station tonight on my way to pick up my Dad from the Bus Station and these are shameful honestly. I looked for them specifically and I still have yet to figure out what they were advertising because the quality is SO BAD. They are probably trying to jack-up the purchase price for the hub. I drove by again tonight and it was a lot brighter and clearer compared to last week. By making it look worse. Lol. Strange strategy.